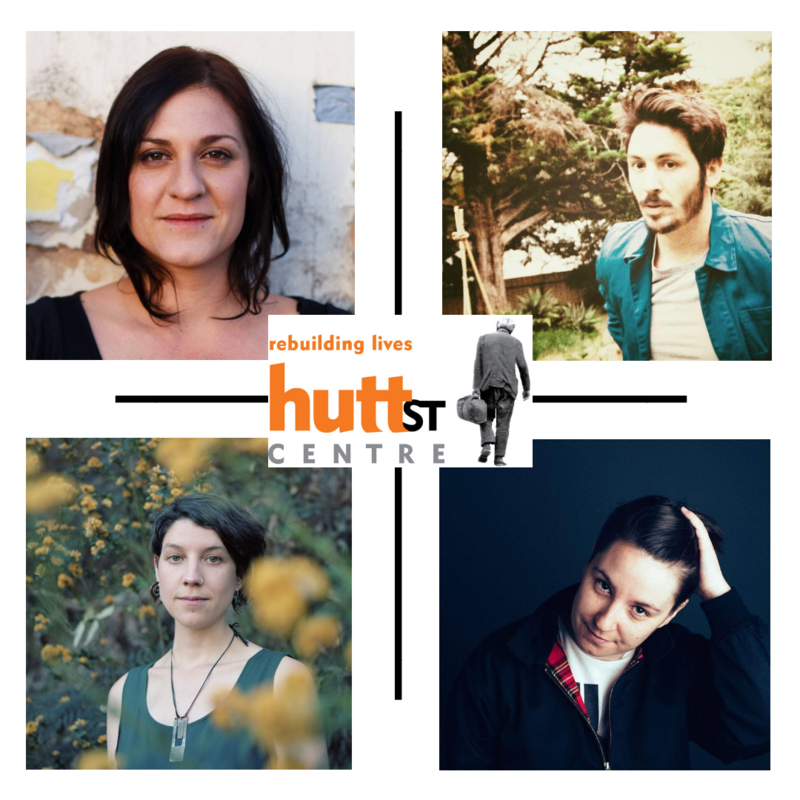 Four local Adelaide artists will bring their songs to the Grace Emily Hotel for a Sunday afternoon show, raising funds for the Hutt St Centre. $10 entry at the door. Bring spare change for raffle! Music from Emily Davis, Aaron Thomas, Mary Webb and Alison Coppe! This event is family friendly and children enter free (with supervising adult). Details on the Facebook Event here. Each year Hutt St Centre serves over 40,000 meals and offers social work and support services to nearly 2,000 people. Showers, laundry facilities, visiting health professionals, an aged city living program for our older clients, recreation activities, education and training, legal aid and assistance with finding housing are all services provided to the 200 plus homeless people who visit Hutt St Centre each day.